Historic Goolwa stands at the mouth of the Murray River on Lake Alexandrina and derives its name from an aboriginal word meaning elbow. Every type of water sport is available in Goolwa, and if you don’t own a boat you can always hire one. 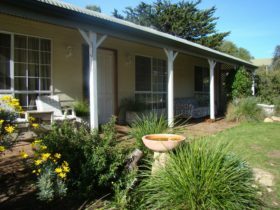 Hindmarsh Island and the Coorong provide kilometres of unspoiled wetlands and at the end of the day you can enjoy award winning local wines. 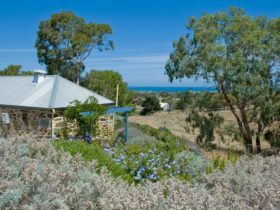 It’s an ideal destination, just over an hours drive from Adelaide through breathtaking countryside. 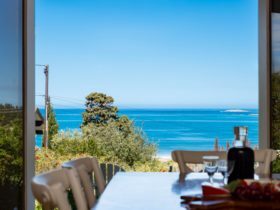 The nearby Murray Mouth is renowned for its mulloway fishing, while surf fishing from Goolwa Beach is usually rewarding for the angler. The lakes are a haven for boating enthusiasts. With both fresh and salt water, Goolwa is a Mecca for the keen fisherman and the Murray Mouth is not only a great place to fish but also a remarkable feature of the landscape. 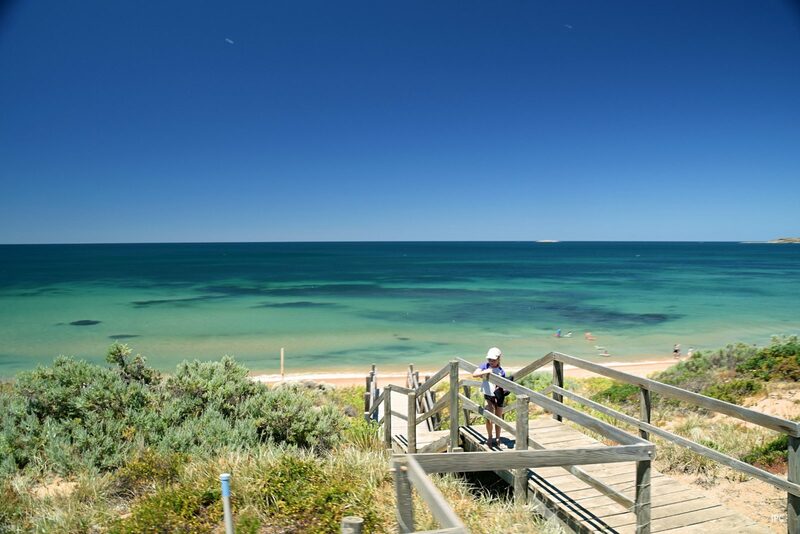 Goolwa hosts a variety of exciiting events, including freshwater boat racing, air shows, and golf tournaments. And there’s plenty of local accommodation. The first part of Goolwa was surveyed in 1840. With the introduction of paddle steamers to the river in 1853, Goolwa became the first major shipping port in the state, with produce from the interior being barged down the Murray system for loading onto overseas vessels. The subsequent silting-up of the Murray Mouth led to the port becoming inaccessible to the larger ships. As a result, the first railway line in South Australia was opened between Goolwa and Port Elliot in 1854, the latter then becoming the overseas port. Early in the 1880s the Morgan railway took away most of the trade by directing it through Adelaide, and by 1890 shipping was virtually finished at Goolwa. 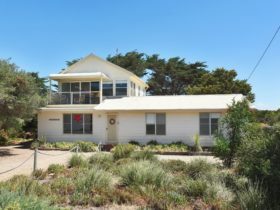 Today Goolwa is a popular, fast-growing tourist resort offering quiet, relaxing all-year-round recreation with its historic buildings greatly enriching the town’s interest. 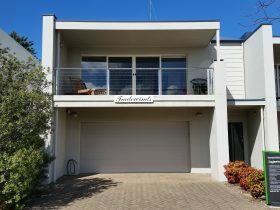 Goolwa is an Urban CBD Location area within the local government area of Alexandrina in South Australia, it is located approximately 65kms from the capital Adelaide and extends over an area of 17.345 square kilometres. Goolwa has a recorded population of 2350 residents and is within the Australian Central Daylight Time zone Australia/Adelaide. 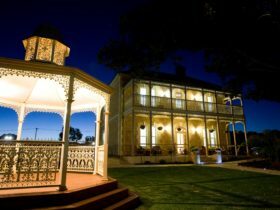 If you are planning a visit to Goolwa we’ve put together some of the things you can see or do while you are here. These include, places to stay, tours and attractions, some upcoming events and places where you can grab a meal. Go ahead, try one of the buttons above. Every destination has something worth seeing so start exploring… If you know Goolwa and think we’ve missed something, let us know and we’ll share it here.